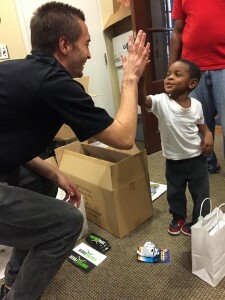 Ronald McDonald House Charities of Alabama was excited to host a leg of the Gamers Give Back Tour! 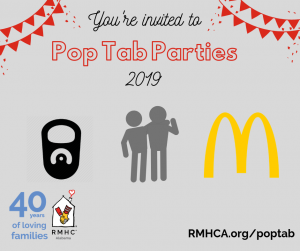 Thanks to Child’s Play and GameChanger Charity, the patients of Children’s of Alabama and families staying at RMHCA had a night off from thinking about the medicine and the complications and they got to just enjoy being kids. It was an eye-opening experience to see the kids and families light up at the sight of so many fun things — not just video games, but educational tablets, board games and more! This amazing group brought Dreamland BBQ for dinner and after a quick presentation, met with each family individually to give age-appropriate gifts to brighten their day (and week and month!). Amazing, right? But that wasn’t even it! 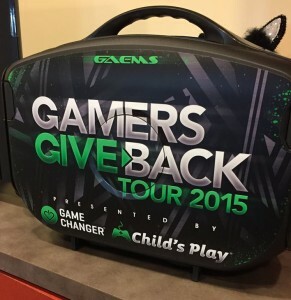 GameChangers and Child’s Play left behind three mobile gaming stations for the House. We are so happy that families will enjoy these for years to come! More pictures on our Flickr account! !